Can we talk about how cute these are? I bought them the other day and can't wait for the mail to get here! I think I am going to get a gold monogram on them too. 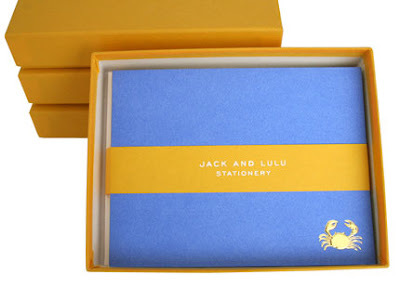 Head over to Jack and Lulu to see all of the stationery in the Gold Collection. I love them too!!!! I think the only way they could be more "you" is if the inside had oyster shells on it. So jeals. Ah! Can you imagine? I would vote for a light gray color on the oyster note card. They would be so cute!